Oct. 16, 2009, LONDON - Northrop Grumman Corporation (NYSE:NOC) announced that its Europe-based air traffic management systems subsidiary, Northrop Grumman Park Air Systems, has been awarded a contract to supply and install fourteen VHF and four UHF ground to air radio communication systems and a 20 position voice communication control system (VCCS) for Gimpo International Airport, Seoul, South Korea. The award was made following an international competitive tender process. his will integrate with the company's PAE T6 UHF/VHF range of equipment and with locally supplied equipment including installation works, antenna mast construction, and inter-site communications. 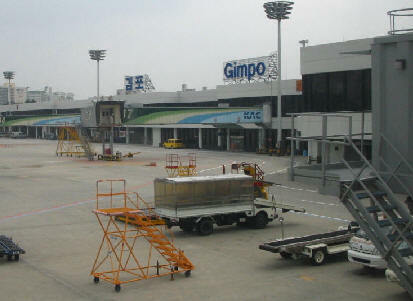 "Northrop Grumman's Park Air Systems air traffic control communications equipment has been in operation at Gimpo Airport for many years and we are pleased to have been awarded this contract to upgrade the existing infrastructure," said Charles Houseago, managing director of Northrop Grumman Park Air Systems in the UK. "We look forward to working again with the Korean air traffic control authorities and to delivering this world-class solution." The contract is expected to be completed in 2010 and follows on from previous contracts awarded to Northrop Grumman Park Air Systems for the supply of air traffic control systems across South Korea, including those at Incheon Airport, Incheon ACC and other regional airports. Northrop Grumman Park Air Systems, based in Peterborough, UK, and in Oslo and Horten, Norway, supplies communication, navigation and surveillance systems for air-space operations worldwide. In Europe, Northrop Grumman operates from locations in France, Germany, Italy and Norway, providing navigation, air traffic control and postal automation systems. In the UK, Northrop Grumman operates from primary locations in London, Fareham, Chester, Coventry, New Malden, Peterborough, RAF Waddington and Solihull and provides avionics, communications, electronic warfare systems, marine navigation systems, robotics, C4I solutions and mission planning, aircraft whole life support, IT systems and software development.